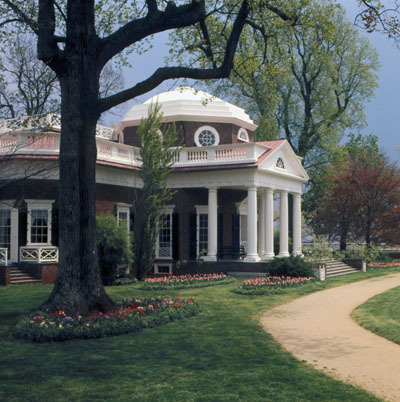 Thomas Jefferson's lifelong love affair with designing, constructing, and constantly reshaping the house and gardens at Monticello began when he inherited the mountaintop property in 1757. 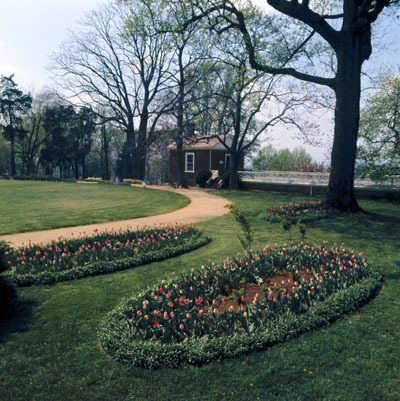 The environment surrounding his home was as important to Jefferson as was the house itself, and although he planned the gardens from the time of the leveling of the Monticello site in the early 1770s, it was not until 1793 that the first planned gardens were planted, and more than a dozen more years passed before the gardens as they are known today came into being. 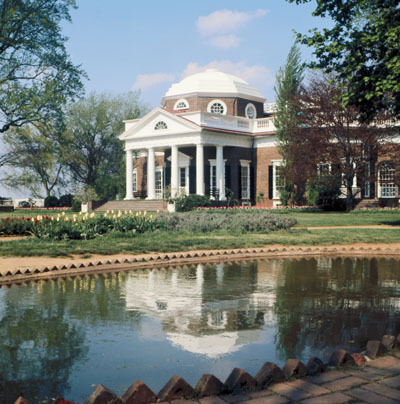 As in so many ways, Jefferson shunned the conventional and wanted to approach the design of his gardens from a naturalistic viewpoint, eschewing the formal gardens of the Tidewater Virginia of his youth. 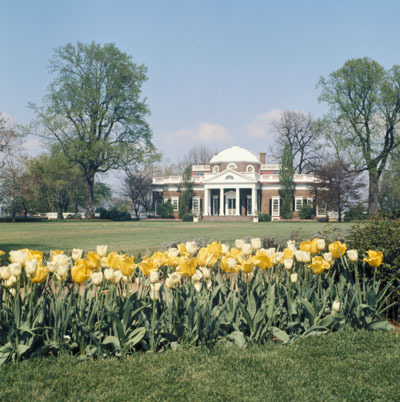 Curving paths and oval flower beds stood in for boxwood borders, while Jefferson gathered plant material both locally and from many samples sent to him by travelers from across the country and throughout the world. Like his house, the gardens at Monticello were almost constantly evolving during Jefferson's lifetime, as he proved himself a true horticultural experimentalist. After Jefferson's death and the passing of Monticello to other owners, both the house and gardens fell into practical ruin. In 1923 the Thomas Jefferson Memorial Foundation was established save this historic American treasure. 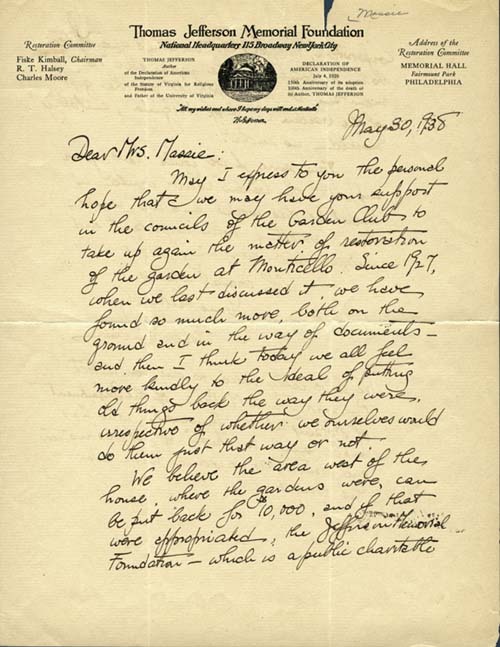 Almost immediately, a Restoration Committee led by Fiske Kimball and Edwin Morris Betts went to work at Monticello, but they found an overabundance of things needing to be accomplished, prompting the Foundation to seek aid elsewhere. 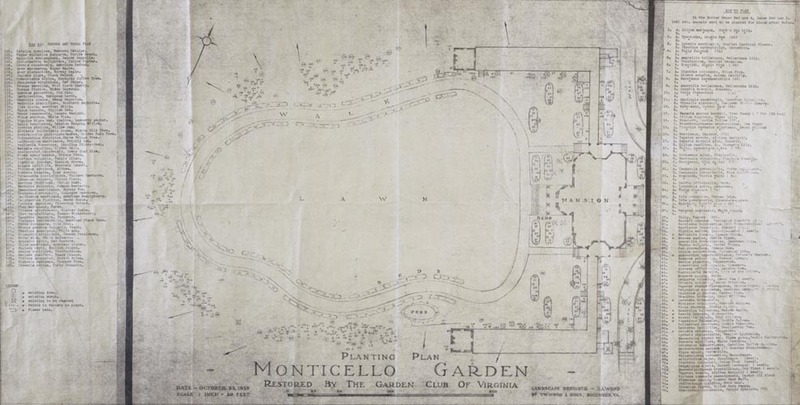 After some initial discussions and activities in 1927, Stuart Gibboney, president of the Foundation, approached The Garden Club of Virginia in the spring of 1938 to request the organization's formal commitment to restoring the gardens at Monticello. 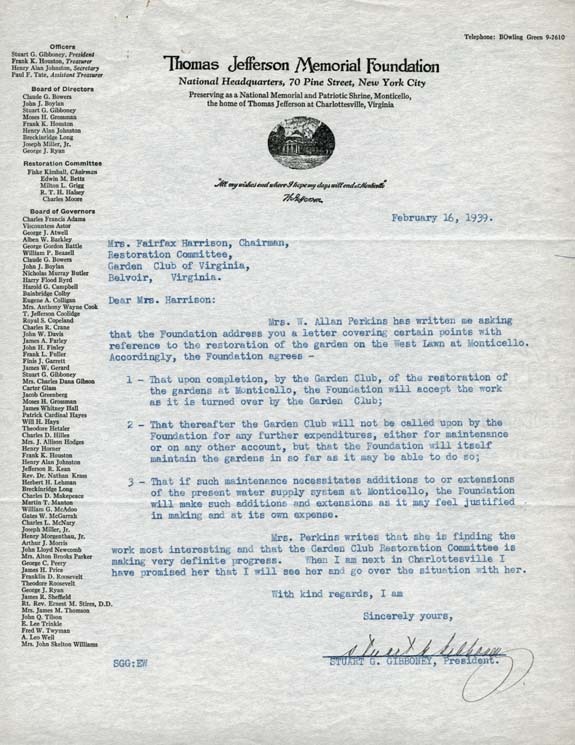 The Club voted to designate funds earned from 1939 Garden Week revenue to the project. Jefferson left behind meticulous notes, along with a garden book he maintained for many years, providing restoration researchers with an embarrassment of riches. But dedicated and diligent research gradually led to an 1807 plan that became the basis for the restoration. This plan was supplemented by archaeological excavations, which ensured an accuracy to the restoration that is rarely achievable. Some few years later, The Garden Club also aided the rebuilding of the approach and steps to the Jefferson family cemetery, and through the subsequent years has taken a great interest in the maintenance of the grounds at this historic site that annually attracts so many visitors. The rear of Monticello looking from the fish pond on the southwestern side of the house. View of the garden loggia, the Lombardy poplar and the tulip poplars. Oval flower beds along the roundabout that circles the West Lawn. Slide, Gardens, Monticello, Charlottesville, Va. 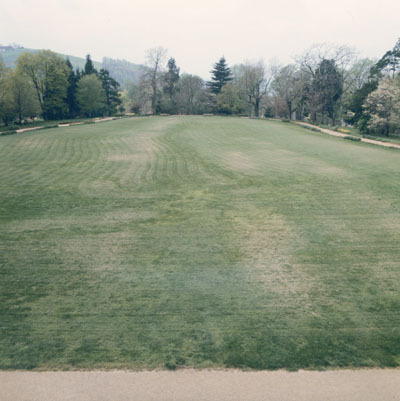 The original roundabout (circular walkway) runs along the perimeter of the West Lawn. 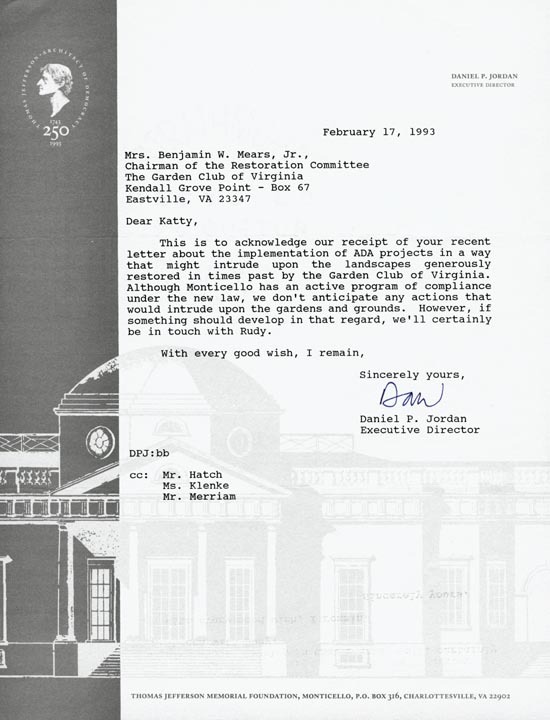 The Garden Club's commitment to the restoration of the West Lawn landscape proved crucial to the reclamation of the Monticello grounds. 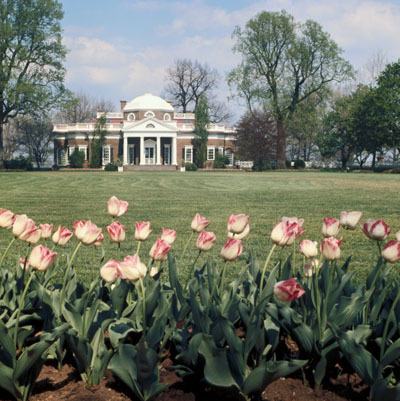 Jefferson imported and planted many varieties of tulips on the Monticello grounds. 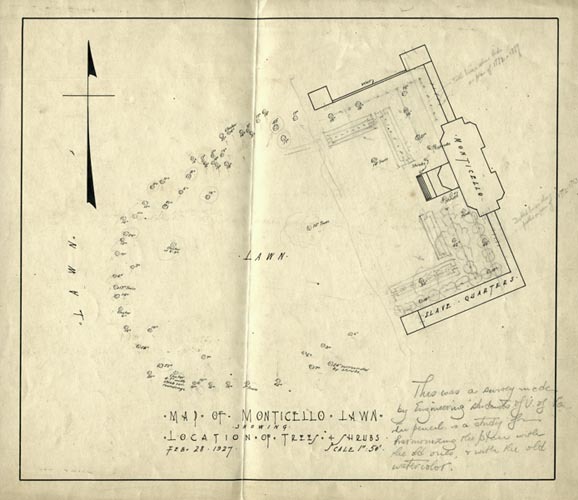 Plat, 1927, prepared by University of Virginia engineering students showing locations of trees and shrubs and bearing handwritten suggestions for additional plantings. Planting plan by Garland A. Wood, 1939, with keys to shrubs, trees, and plant beds. 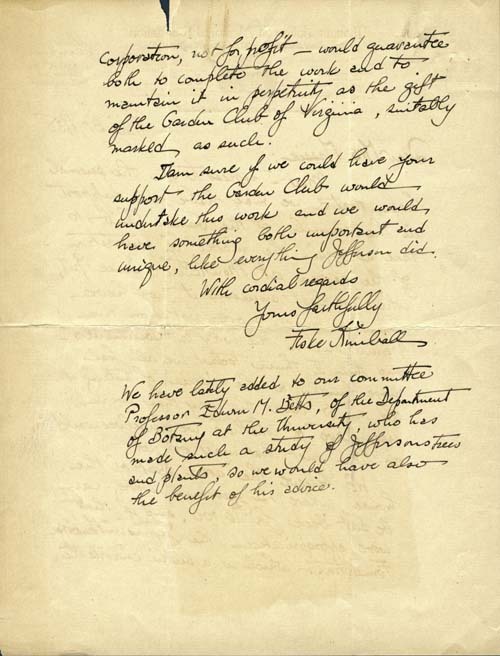 Letter, 1938, of Fiske Kimball to Mrs. Katherine Botts soliciting her support for an approach to The Garden Club of Virginia for restoration funds. 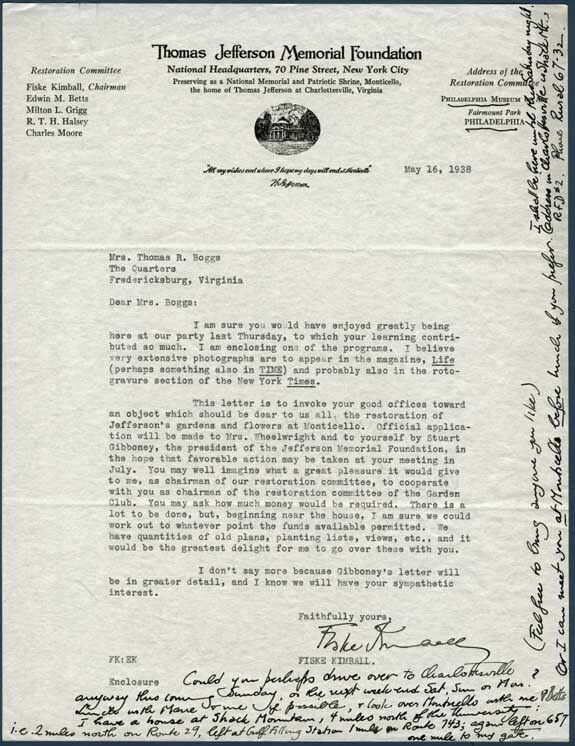 Letter, 1938, of Fiske Kimball to Mrs. Susanne Massie seeking similar support. 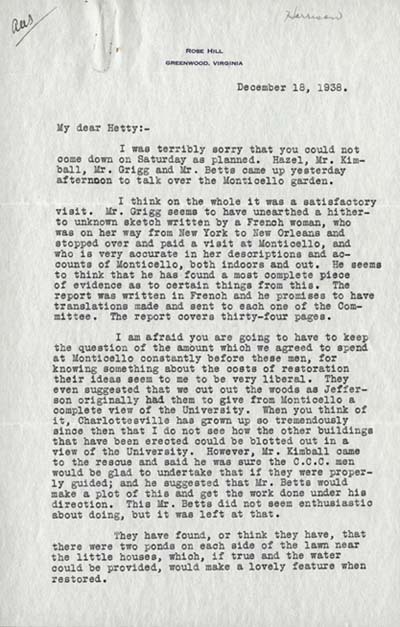 Letter, 1938, of Mrs. Susanne Massie to Mrs. Hetty Harrison warning about the financially "liberal" ideas of the Monticello Restoration Committee. 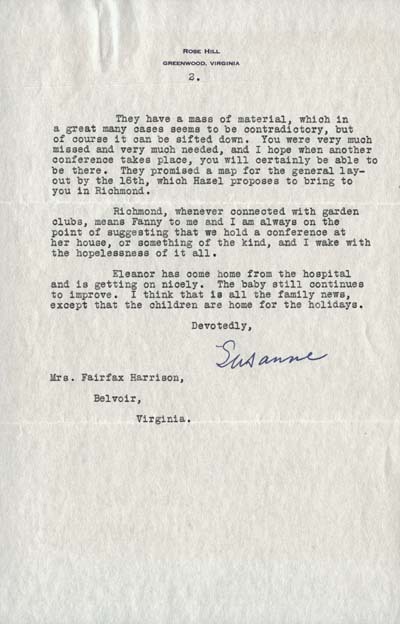 Letter, 1939, of Stuart Gibboney to Mrs. Hetty Harrison concerning restoration of the garden on the West Lawn of Monticello. 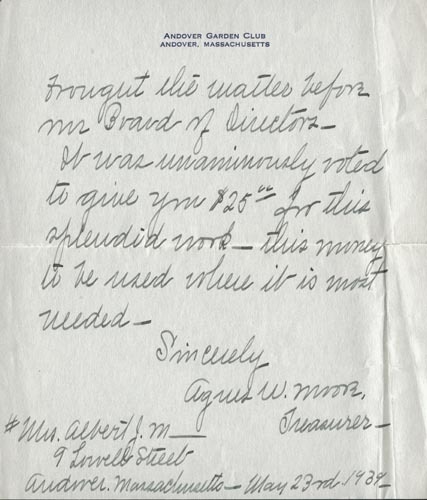 Letter, 1939, of Mrs. Agnes W. Moore of the Andover, Mass., Garden Club tendering a donation to The Garden Club of Virginia in support of the work at Monticello. 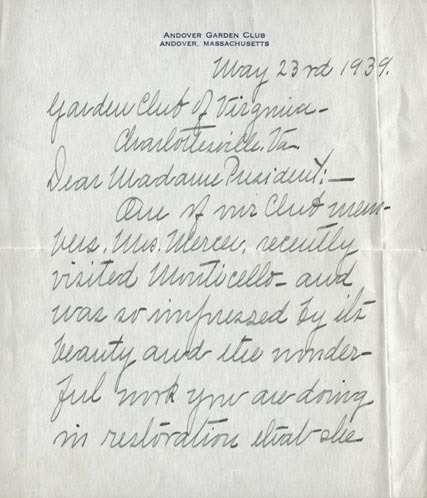 Letter, 1993, of Daniel P. Jordan, executive director of the Thomas Jefferson Memorial Foundation, regarding the effects of implementing the Americans with Disabilities Act (ADA) on the restored landscape.